While the GodotCon in Poznań is ongoing (Livestream here! 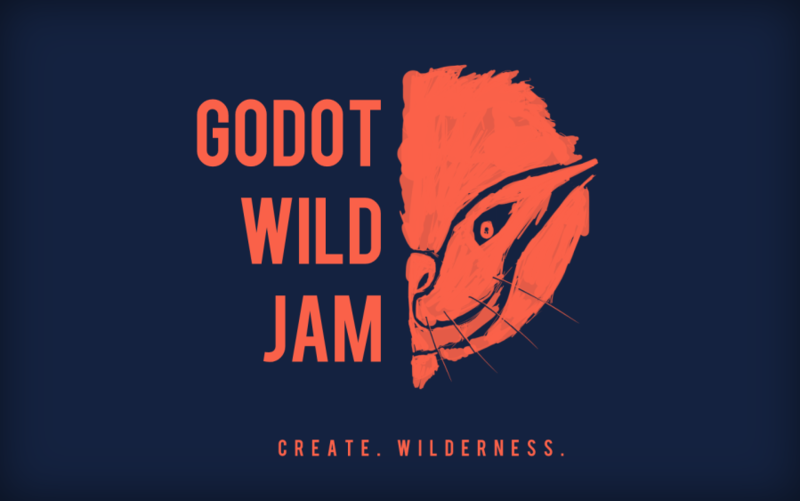 ), our awesome community could not wait for the next official Godot Jam and just got one started on their own: The Godot Wild Jam. Conveniently starting right after GodotCon, the second iteration of their monthly community jam already has lots of signups on itch.io - and because we always love community members stepping up to create things for others to enjoy, we encourage you to join them and have fun! What is the Godot Wild Jam? This game jam is here to inspire you to let go of your limits and Go Wild. Make a game in 9 days, and be part of a monthly event that will give you experience, add to Godot the community, and help further develop the engine. We strongly encourage the use of Godot 3.1 so as to stress test the engine, but all levels of experience are welcome. Please be sure to report any bugs you discover! The artist of Stern Flowers, Krystof, was anxious for the next Godot jam. Rather than wait for one to happen, he pitched the idea of organizing one to our group. Immediately, we ran with it. We decided that we wanted to have a game jam that would allow people to discover how easy Godot is. We wanted to test out new features. We wanted it to be fun and relaxing. We wanted it to be wild! Kati, the group’s designer, created the jam page, while Krystof designed the jam’s image, including logo and color schemes. A Discord server cropped up, and John, one of the group’s programmers, made a dedicated website to the Godot Wild Jam. Even before the theme announcement, our composer, Kyle, made a killer video to present the theme in an over the top and engaging way. Staying true to our word, we provide a link to an itch.io page kept by Ernest, our other programmer, where bleeding edge builds of the engine are compiled every day for OSX, Linux and Windows, including export templates. All of Stern Flowers has worked hard to make this game jam a memorable one. This was the first time any member of Stern Flowers had hosted a game jam. We shared our jam page in every Godot-related space we could, and this gave us a lot of feedback. We listened and updated. By the end of our first game jam, we had 100+ participants around the world and 20 awesome games to play. Now, we are about to start our second round of Godot Wild Jam. It has and will continue to be an amazing journey. We are proud to see the Godot Wild Jam community grow and are extremely thankful to our participants. We are also honored by the Godot Developers who have chosen to highlight our work. We will see you at the next Godot Wild Jam. The next theme. The next game. Who even is Stern Flowers? We are an international group of game developers who found each other roughly 8 months ago for the second iteration of the “UE4 vs Unity vs Godot” jam. We used Godot, developing Roaming Ravenous and won first place. Since then, we have continued to work together on several other projects, Power Tower being the most recent one. Should you have any questions or curiosity gets the better of you, get in touch or check out our itch.io page. Thanks for reading - and a big heartfelt thanks to the organizers. Godot Engine is and always will be a community effort - thank you for being part of it!